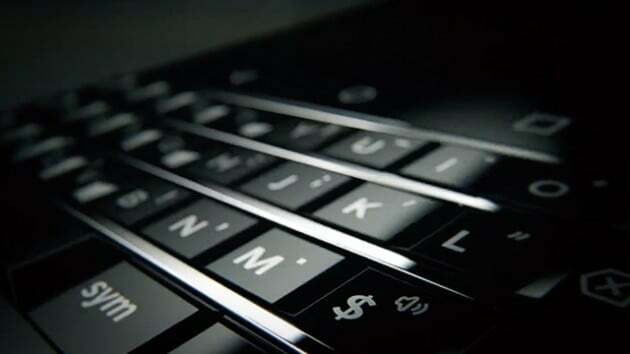 Blackberry fans have a reason to rejoice as a new smartphone with a physical keyboard is set to be released at CES 2017. Steve Cistulli, president of TCL Communication in North America has posted a teaser on Twitter ahead of its official unveiling. Based on his tweet it can be said that the smartphone will be called Blackberry Press. TCL will be manufacturing the smartphone, just like the DTEK50 and DTEK60. TCL had signed a licensing deal with BlackBerry in December to design, manufacture and distribute BlackBerry smartphones after BlackBerry said that it would no longer be designing and manufacturing its own smartphones. The new smartphone is rumored to come with a 4.5-inch display, Qualcomm Snapdragon 625 processor, 4GB of RAM, an 18MP rear-facing camera, 8MP front-facing camera powered by a 3,400 mAh battery. In a press release in December, TCL had made it clear that the company will unveil an evolutionary first in the mobile industry, which will include the addition of the new BlackBerry brand of smartphones. Cistulli quoted in the release as saying: “We’ll unveil more news at CES around our plans, showcasing the legacy of the BlackBerry smartphone brand, while also giving a glimpse into what new BlackBerry smartphones will offer as part of our bold new brand portfolio within TCT. BlackBerry has shut down its hardware manufacturing, to focus on enterprise services.